This site contains information about MahJong solitaire, the solitaire matching game that uses a set of Mahjong tiles. 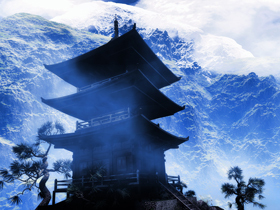 Mahjong solitaire or MahJongg solitaire also known as Shanghai solitaire, single-player mahjong or one-player mahjong, and, erroneously, as Mahjong, is a solitaire matching game that uses a set of 144 Mahjong tiles. The tiles come from the four-player game popular in East Asia known as Mahjong. 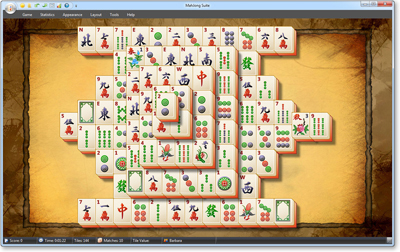 Mahjong is a traditional game that originated in China. Whether its called Mahjong, Ma Jong, Mah Jong, Mah Jongg, Ma Diao, Ma Cheuk, Mah Cheuck, Baak Ling, or Pung Chow the history of this game is as intriguing as the game itself. Terms used in the play of the game "Pung", "Chee", and "Kong" also add support to this theory. Confucius was of the Kong family his full name being Kong-Fu-Tze, he married a girl named Che and adopted the term "Chee" meaning 'to connect' which occidentals corrupted into "Chow". Download and Play Mah Jong Solitaire now!